Lee, Peter, Rachel, and Meghan are back with another season of the podcast. This season, our ship is flying to help us on our quest to find kids’ stories to perform! BONUS, this season features lots of celebrity special guests, including John Oliver, Claire Danes, and Dax Shepard! Scroll down to read Lee’s weekly Ship’s Log for a recount of behind the scenes happenings on the ship AND the original stories submitted by real kids. 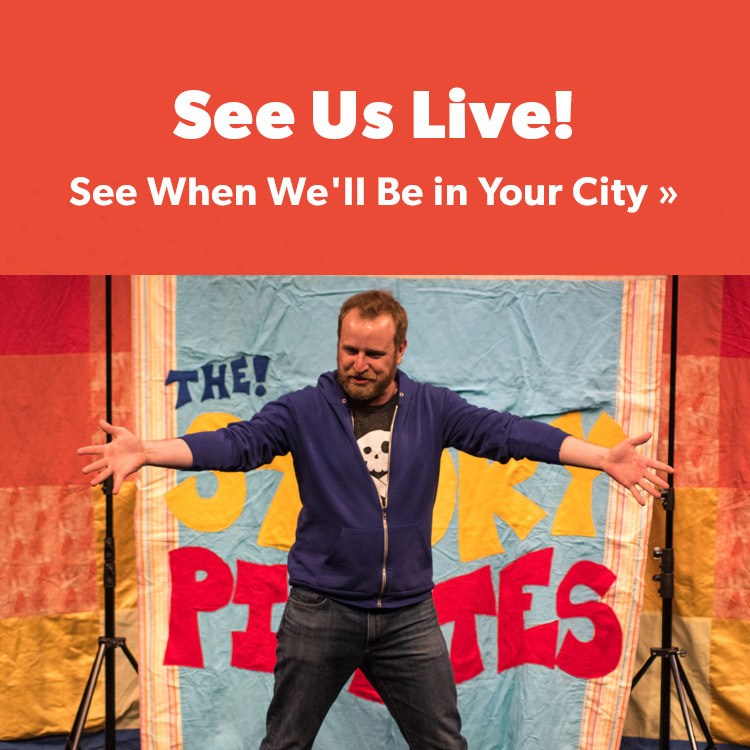 And, don’t forget to sign up for our email list for Story Pirates announcements! Click the photos or titles below for an insider's look at each episode, including the original kid written stories, ship's log by Lee, and behind the scenes author videos and photos! Sign up for our email list to be the first to know about live shows, giveaways, and other behind the scenes updates!